First-half tries from backs Ross Adair, Fautua Otto and Tom Howe set Jersey on their way to victory at Rotherham Titans. The islanders were 22-6 ahead at half-time, with Ross Jones kicking the points for the hosts. Jersey skipper Alex Rae crashed over from a driving maul after the break to extend the lead further. The win takes the islanders into seventh in the Championship table, one point and one place below the Titans. 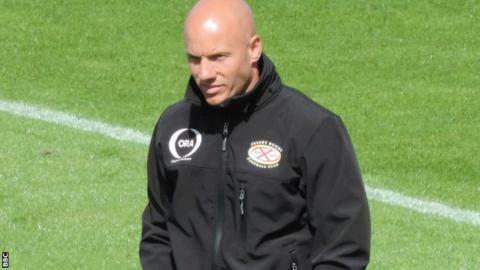 "We're learning all the time," Jersey head coach Harvey Biljon told BBC Radio Jersey. "When we got an opportunity, we recognised the opportunity and went and delivered. "We spoke at the beginning at the week about how difficult a place Clifton Lane is to come and win, and the players absolutely deserve credit for delivering." Rotherham: Scanlon; Rath, Hayes, Barker, Wilson; Jones, Davies; Hislop, Maddison, Thiede, Holmes (capt), Maddison, Calladine, Birch, Argyle. Replacements: Crane, Cromie, Tampin, Salmon, Oram, White, Goodwin. Jersey: Penberthy; Howe, Otto, Robling, Adair; Cope, Fisilau; Lockwood, Garcia-Veiga, Tomaszczyk, Rowlands, Phillips, Rae (capt), Graham, Haining. Replacements: Selway, Lancuba, Herriott, Kolo'ofa'i, Freeman, Moates, McCrea.